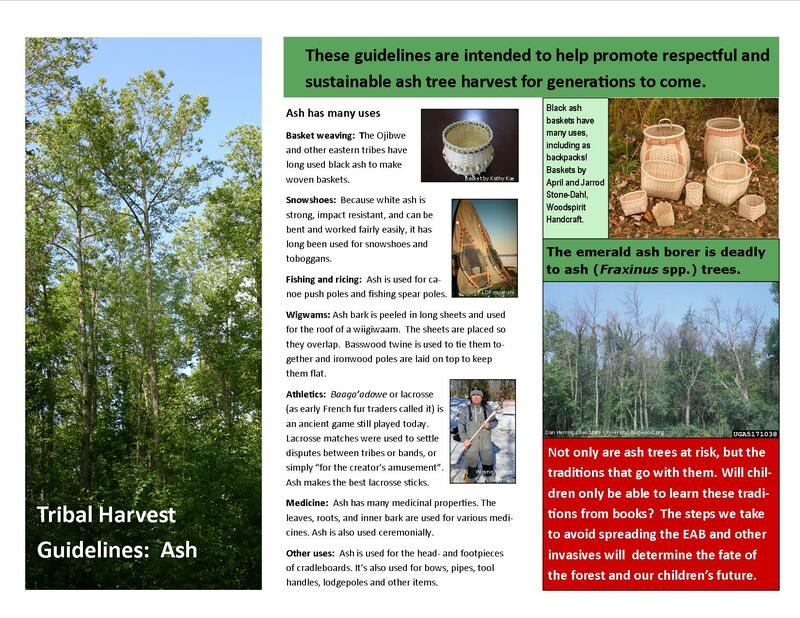 This brochure relates some of the ways ash is traditionally used, gives tips on how to recognize emerald ash borer infestation, and gives suggestions on how you can keep from spreading this ash-killing insect. 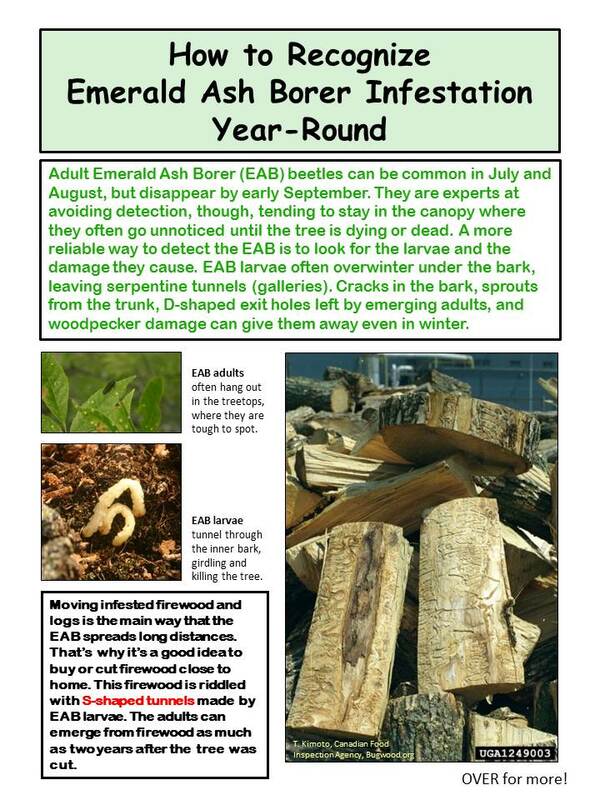 This flyer has lots of photos and information on how to recognize emerald ash borer infestation. 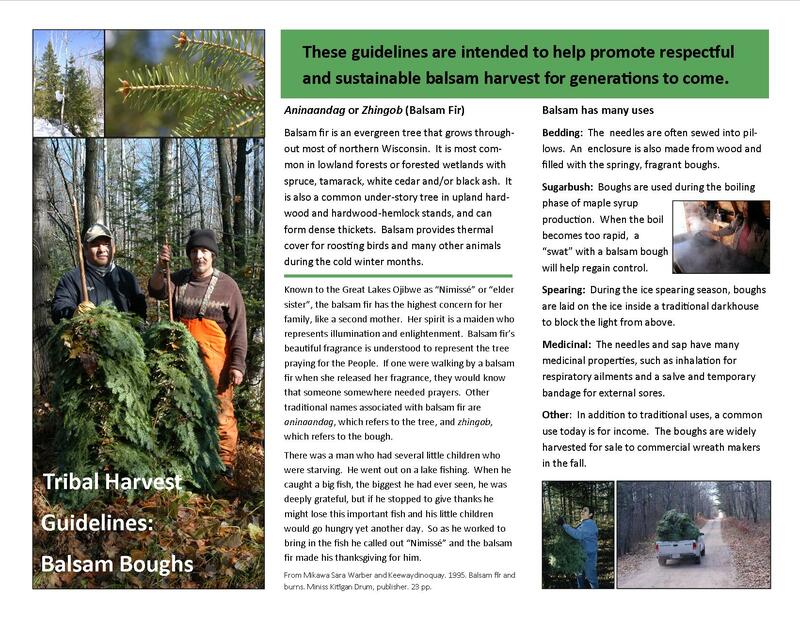 This brochure relates some of the ways balsam fir is traditionally used. It also gives tips on how to recognize balsam woolly adelgid infestation and keep from spreading the BWA. 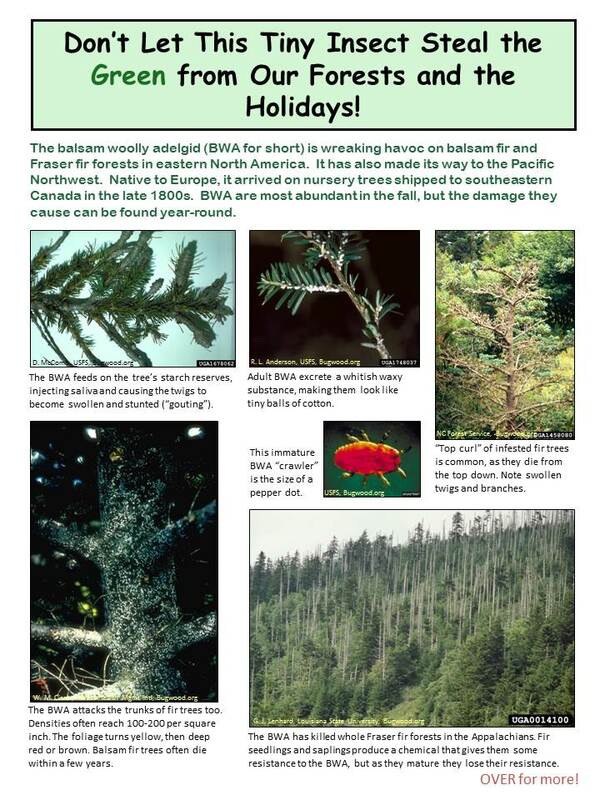 This brochure shows how to recognize balsam woolly adelgid infestation. This brochure is really two brochures in one! 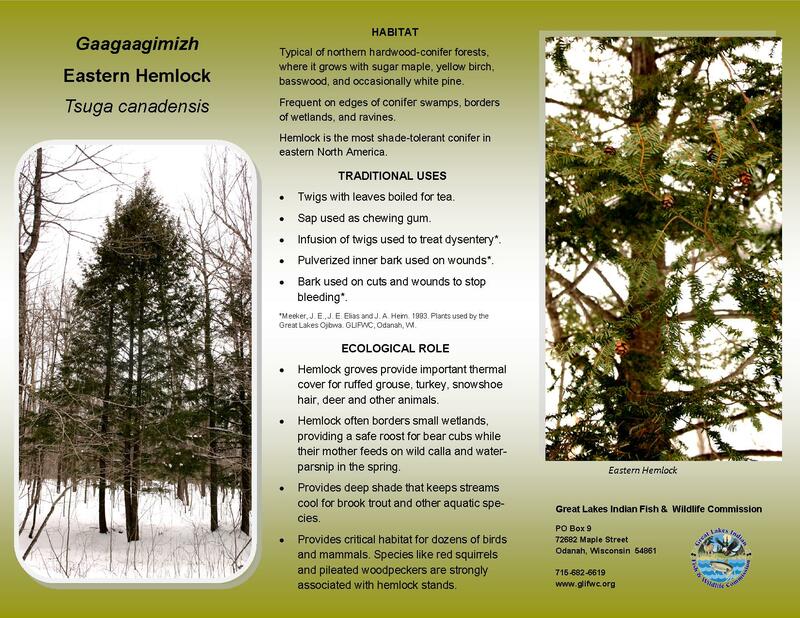 One side explains the ecological role of hemlock and lists some of it its traditional uses. Flip it over and it explains the impact hemlock woolly adelgid is having on hemlock in eastern North America, and how to recognize it in the event it shows up in the Ceded Territories. 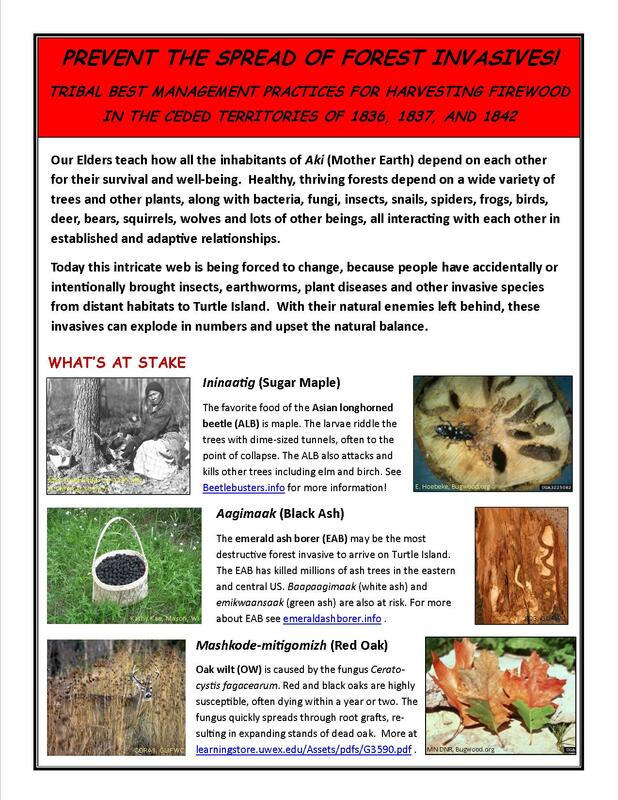 This brochure shows how to distinguish white oaks from red oaks, how to recognize oak wilt infestation, and how to keep from spreading oak wilt to new areas. 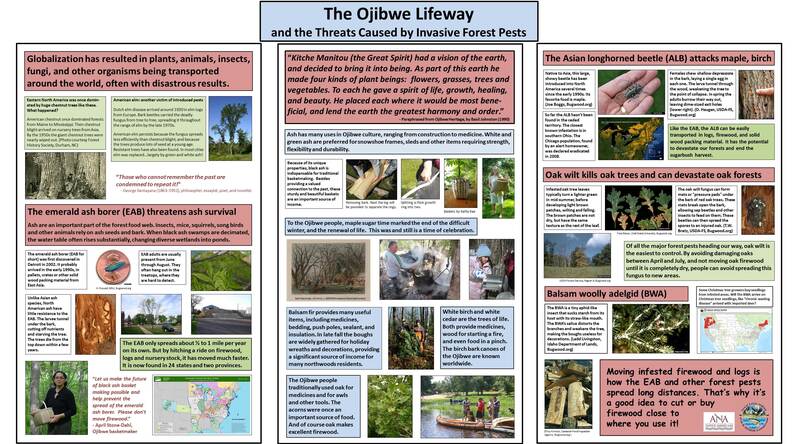 Many tree-killing forest invasives spend much of their lives under the bark or in the wood, where they can easily be transported by people moving firewood and logs. This brochure gives best management practices to avoid spreading the emerald ash borer, oak wilt, and other serious forest invasives to new areas. 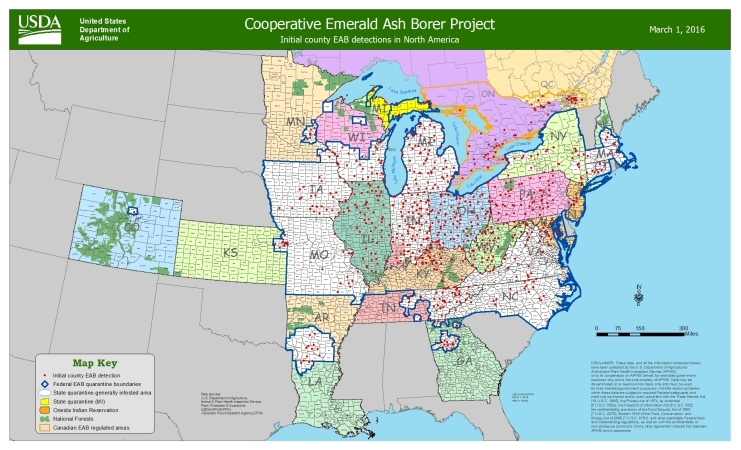 The USDA's map showing the known distribution of the EAB in North America. Updated the beginning of each month.